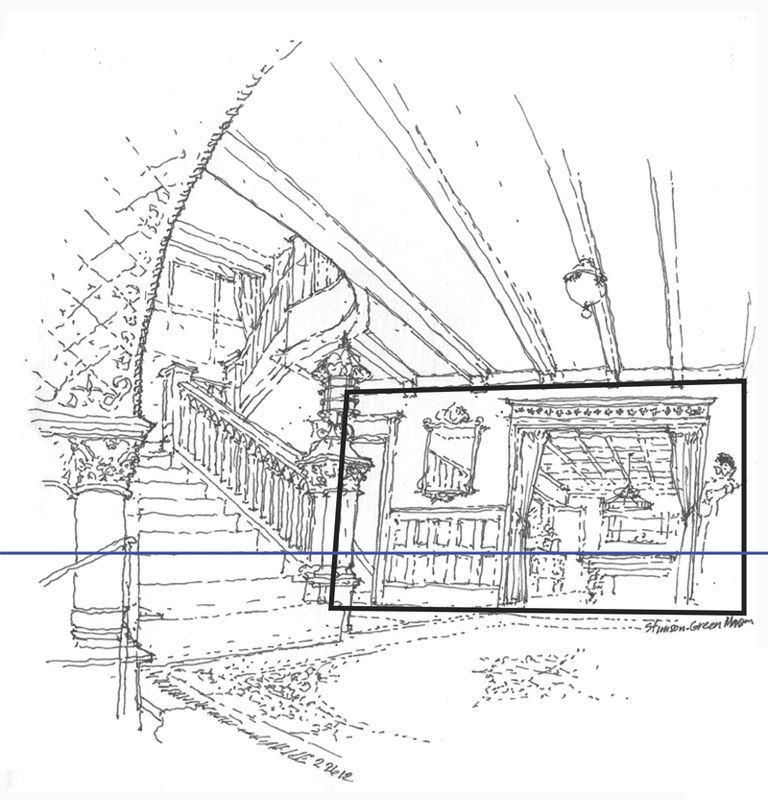 A question often asked is how to begin a drawing on location. Once we have selected a point of view and mentally composed the picture, one way to begin is to select a vertical plane in the scene, which can be the facade of a building or a wall of an interior space, and drawing this plane before delineating the horizon line—our eye level—relative to that plane. It is important to properly size and locate this vertical plane relative to the page or sheet of paper to ensure that the entirety of the intended image will fit. 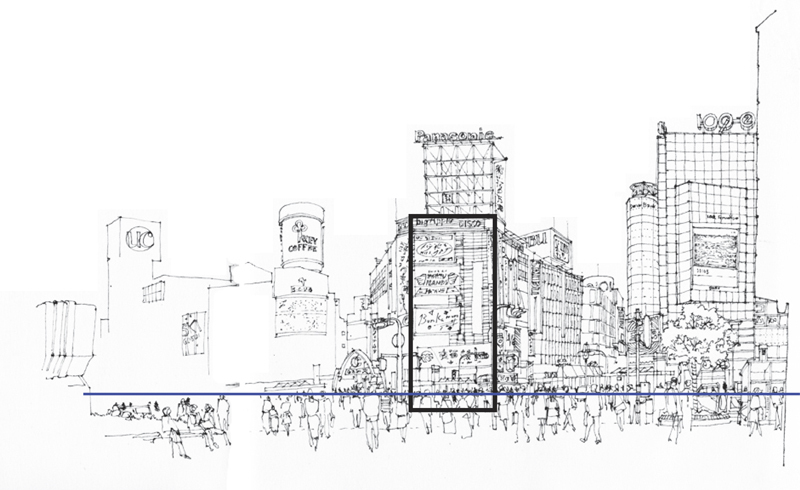 If the initial plane is drawn too large, we may have to crop some of the intended image or worse, we might be tempted to alter the proportions of the scene to fit the page. Also, if the vertical plane is placed too far to the left or right, or too high or low on the page, the resulting composition may be distorted. The initial vertical plane need not be a physical one. It can also be a virtual one, such as the cross section of a church nave or the width of a street. 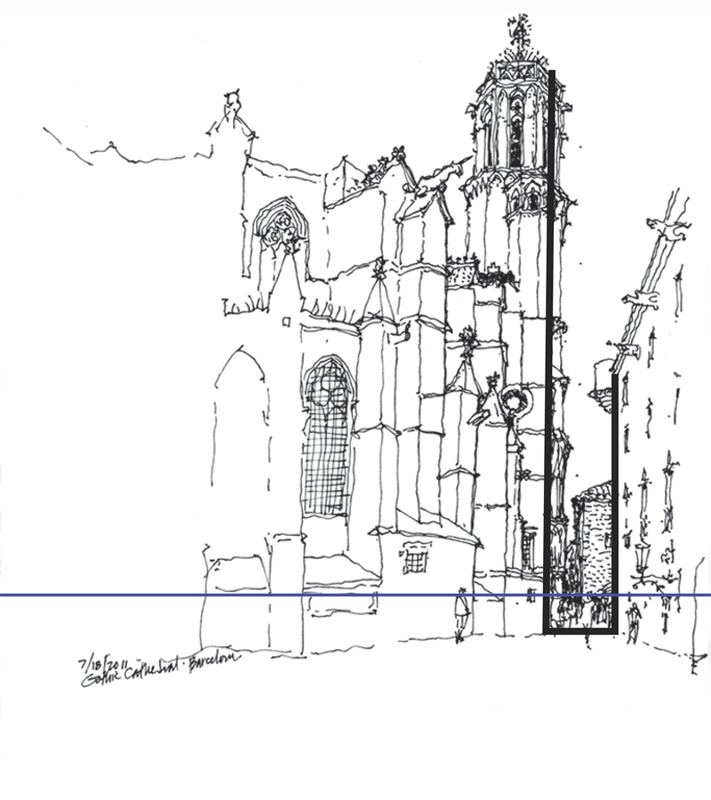 This entry was posted in Design, Drawing, Seeing, Urban Sketchers, Visual Thinking by FC_admin. Bookmark the permalink.